A loss of range of motion or strength, numbness or a tingling feeling in the limbs are all symptoms that are related to poor posture and prohibit proper walking gait, comfortable sleeping situations and effective participation in activities. Help clients focus on posture correction to perform activities of daily living with ease. 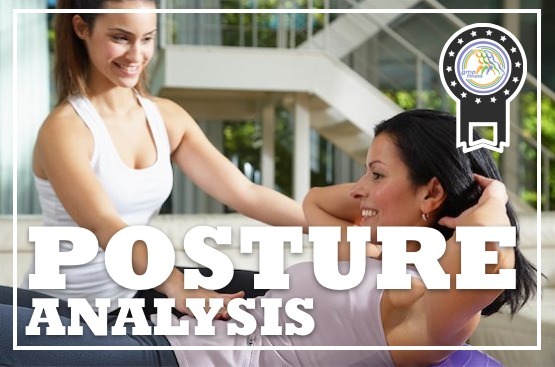 This step-by-step Specialist Course teaches fitness professionals how to assess posture and then develop individualized exercise programs. Elevate your business with this This Speciality Certificate Credential … Expand your marketability to individuals who need to improve their posture by conducting posture analysis and providing corrective training. ✓ Discover and learn corrective postural training. ✓ Gain postural assessment knowledge to help you determine the appropriate therapeutic exercises to implement with your client. ✓ Teach methods to correct alignment, improve posture and relieve back pain. ✓ associated muscle compensations and altered neuromuscular properties. ✓ Understand the importance of stabilization to maintain proper body alignment. ✓ Find out beneficial tips to share with clients to improve posture. ✓ Provide appropriate instructional cues for proper posture technique. ✓ Learn simple conditioning moves (no equipment needed) for common repetitive motions. ✓ Develop and implement exercise progressions to restore good posture. ✓ Enhance knowledge on the benefits of using the stability ball to correct posture. ✓ Review guidelines when using the stability ball to improve posture. ✓ 28 question online true/false and multiple/choice final exam.